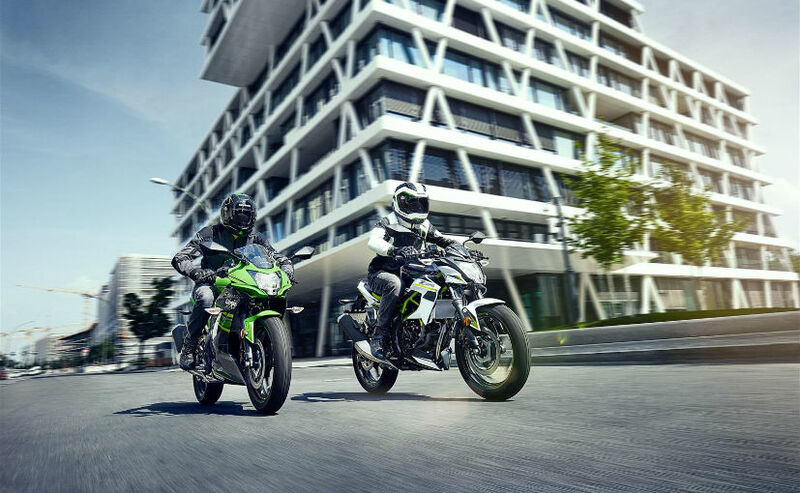 Both the Kawasaki Ninja 125 and Z125 take inspiration from their larger displacement siblings in design, and will be making a public debut at Intermot motorcycle show in Germany this October. Following up on its announcement at EICMA last year, Kawasaki has revealed the 2019 Ninja 125 and Z125 motorcycles for the European market. The bikes will be making their public debut at the Intermot Motorcycle Show in Cologne, Germany in October this year, and will be targeted at young riders with the A1 license. Both the Kawasaki Ninja 125 and Z125 take inspiration from their respective larger 250 cc siblings in design and certainly look very desirable 125 cc bikes that you'd like to own. The Ninja 125 will compete with the KTM RC125 and the Aprilia RS4 125, while the Z125 will take on the KTM 125 Duke. The Kawasaki Ninja 125 looks identical to the Ninja 250SL complete with the single headlamp cluster, full fairing and angular styling. The bike looks aggressive and the riding position too is slightly dedicated with the rear-set footpegs. 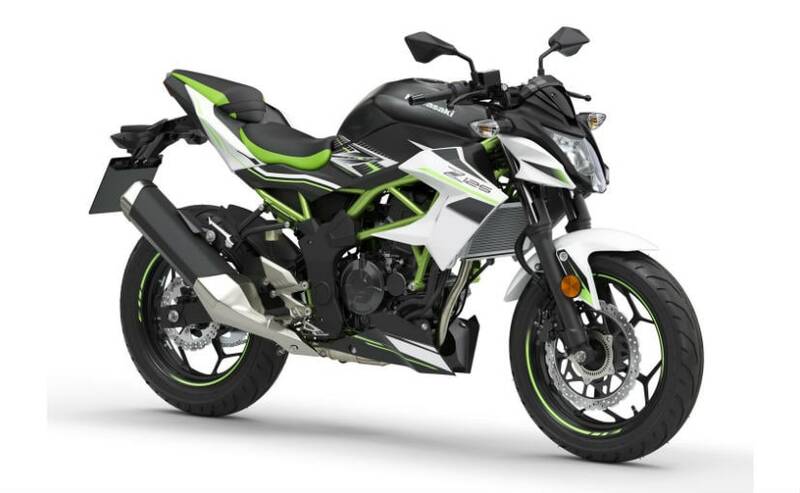 Similarly, the Kawasaki Z125 borrows design cues from the Z250SL and is essentially the naked version of the Ninja 125. The bike though comes with an exposed Trellis frame finished in green and an upright riding position. The Z125 looks aggressive though thanks to the low slung single-headlamp, muscular tank design with the extensions and a raised tail section. Power on the both the 2019 Kawasaki Ninja 125 and the Z125 comes from the 125 cc liquid-cooled, single-cylinder, fuel-injected engine tuned to produce 14.8 bhp. The engine comes paired with a 5-speed gearbox. The production-spec model is likely to sport an identical figure if not the same. Kawasaki says the engine has been tuned to offer optimum performance in the mid and high-range of the rev band. Kawasaki is yet to reveal complete specifications on the new Ninja 125 siblings, but we do know that the bikes are suspended by telescopic forks up front and a monoshock unit at the rear. Braking performance comes from disc brakes at either end. 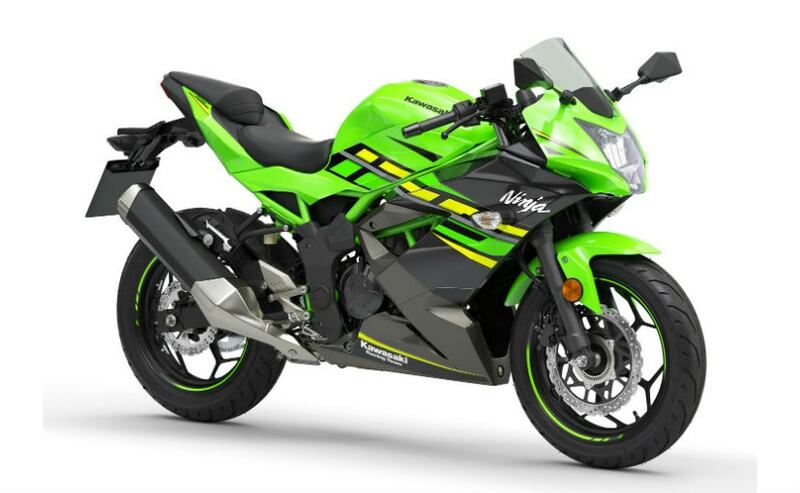 The Ninja 125 and the Z125 get ABS as standard. The seat is expected to be around 785 mm for the Kawasaki Ninja 125, and 815 mm for the Z125, while the bikes will come with 17-inch alloy wheels wrapped in 100/80 front and 130/70 rear section tyres. While the new Kawasaki Ninja 125 and Z125 certainly look delightful, the bikes won't be making it to India. The bikes are designed for a more evolved market like Europe and is launched in India, you can expect prices to be well just under the ₹ 1 lakh mark. Not the most value-friendly 125 cc offering then Nevertheless, Kawasaki India has lined up its more premium offerings lined for launch and is now also assembling the big bikes in the country with more local content going in, bringing costs down by a healthy margin.